The North Bothnia Line project, which is a 270 km long railway section between the Swedish cities of Umeå and Luleå, the last link in the so-called Bothnian Corridor, received good news from the Swedish government some time ago. 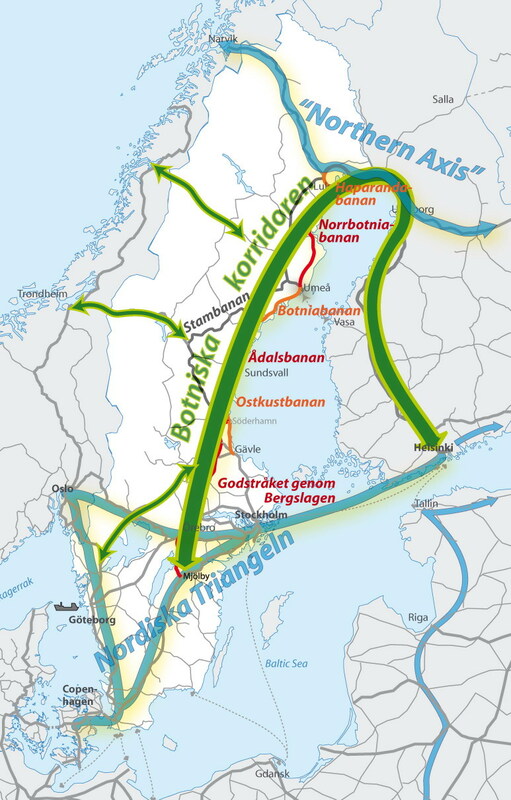 The North Bothnia Line will be presented in concrete terms in an infrastructure proposal in 2016 and it will be included as a specific object in the national infrastructure plan in 2018. Thereby the project is entitled to apply for EU funding and, in addition, the Swedish government sends a clear message of support to the EU. – This is very positive news even for us working with the Midway Alignment of the Bothnian Corridor project. We also wish to see the Bothnian Corridor develop into a functioning whole and, therefore, the completion of the Umeå−Luleå stretch is important to us, says Mathias Lindström, Project Manager of the Midway Alignment of the Bothnian Corridor and Secretary General of the Kvarken Council. – Both the North Bothnia Line and the Midway Alignment project strive to create a stronger core network − that is to say, to strengthen the prioritized main routes in the European transport network. We are happy for the North Bothnia Line’s team and hope that the construction work can be set in motion soon, Mathias Lindström adds. 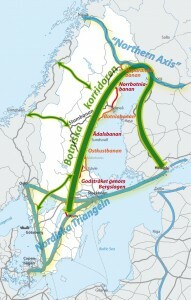 – If the North Bothnia Line receives EU funding, we can begin to plan the work in the summer of 2015. The work will be funded by the region and the EU. We can also apply for more EU funding in 2015 if the region is willing provide the same amount of capital, says Elisabeth Sinclair, the Project Manager of the North Bothnia Line. – The work will continue with the last detailed planning, the railway section. Hopefully the planning work will be well under way in the summer 2015 and the construction work can start in 2018 at the latest, Sinclair adds. Midway Alignment of the Bothnian Corridor congratulates the North Bothnia Line and hopes that the construction work can be set in motion soon!